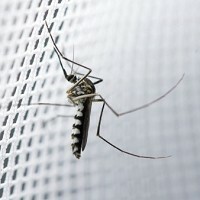 Programmes to stop the spread of malaria are threatened by a lack of sustained funding, a government minister has said. Countries need to commit more money to tackling the disease because progress made until now is in danger of being reversed because money being provided for anti-malaria projects is "levelling off", International Development Minister Lynne Featherstone said. Speaking on World Malaria Day, she said in Africa, the rate of deaths from the disease has fallen 33% over the past 10 years thanks to sustained attention to keeping funding levels up. Nevertheless, those travelling to the continent may want to check their medical travel insurance is up to date. Speaking during a visit to the Democratic Republic of Congo, Ms Featherstone said: "The progress made in tackling malaria across the developing world over the past decade has not only saved over a million lives, it has helped reduce the economic damage that malaria can wreak on countries trying to grow their way out of poverty. "However, this progress is in danger. The international community needs to sustain its support to make sure the gains made over the past 10 years do not go to waste."